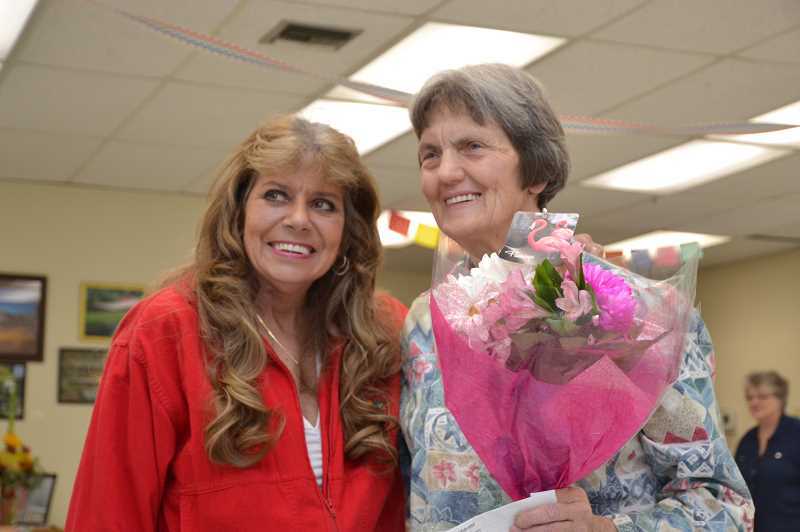 The AARP Andrus Award for Community Service was presented to Estacada volunteer Jan Melcher during a ceremony earlier this month. The Andrus award is described as "AARP's highest honor" and "recognizes individuals who are sharing their experience, talent and skills in ways that significantly enrich the lives of others," according to a description on the organization's website. Melcher received the award on Wednesday, Nov. 7. Melcher is involved with many projects at the Estacada Community Center, including planning and cooking meals and driving for the Meals on Wheels program. She also volunteers at the Eagle Creek Grange, where she is a member of the executive committee, cooks and serves at several events and particularly enjoys the annual Easter egg hunt.